Several ambitious, yet achievable components comprise an overall initiative that shall truly "Connect Our Core". Goal : Link Louisville and New Albany pedestrians and bicyclists again with the K&I Bridge. It has two roadways ready and waiting to be returned to use and connect us. Just think: Bikes on one side foot traffic on the other! Goal: Linking our neighborhoods where current Greenways are disconnected, and where safe connectivity does not presently exist. Build green infrastructure improvements with high quality hardscape - separated from street grade and well lighted. 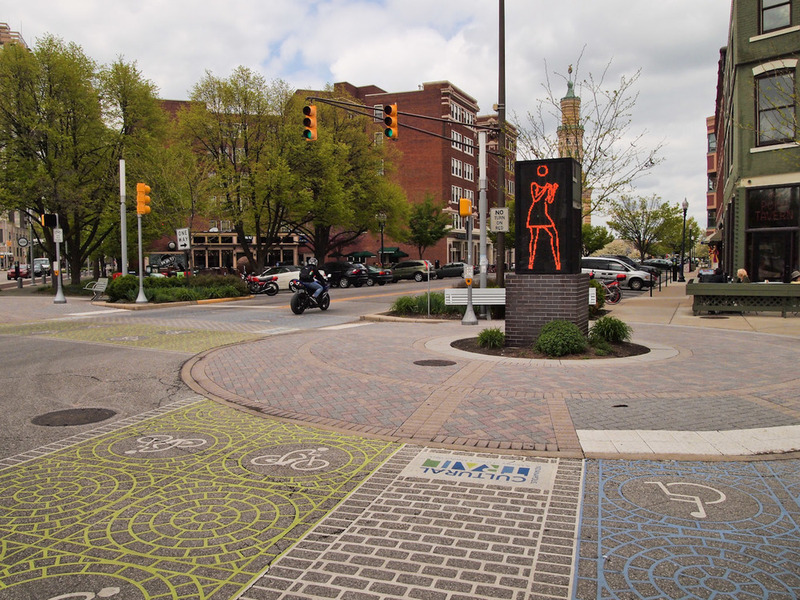 Green infrastructure contributing to stormwater management as well as increasing bicycle & pedestrian usage through lighted and safe pathways - separated from automobile traffic = proven healthy mobility as modeled for us by the Indianapolis Cultural Trail. Linking our neighborhoods reconnecting to our urban waterways! Throughout Louisville and Southern Indiana urban waterways wind their way toward the Ohio River. They are largely ignored resources that suffer from encroachment, illegal dumping, and overgrowth by invasive species. We can harness these water resources, clear their banks of invasive species and illegal dumping, plant native species and restore their abilities to improve water quality - all the while creating urban pathways on Rights of Way that is already public.